With the Takeaway.com-app ordering food online is easier than ever before. Whatever you are craving, good chance you’ll find something you like. From sushi to salads, burgers, pizza, Indian or Chinese food. In just a few simple steps you can order your favourite meal at Domino's Pizza, New York Pizza, KFC, Burger King, Wok2Go or one of the many other restaurants. Delivery from the restaurant to your doorstep usually happens within 30 to 45 minutes! 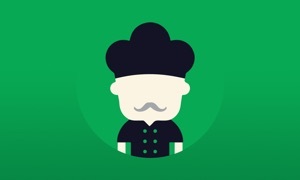 - Thousands of restaurants will spoil you for choice. - Every order will reward you with points to save up and redeem for nice discounts in our loyalty shop. - Share your location and you’ll find every delivery restaurant near you. Rather pick-up your food? With 1 simple tap you’ll find every restaurant that has a pick-up option. - Use our filters to easily find a restaurant and dish that suits your taste. Sort on: kitchen type, price, distance and more! - When you’ve made a choice you can pay however you want: online or cash at your door. - Track your order right until your doorstep via Food Tracker®. - Want to order even faster? Reorder previous order via your history. Save restaurants as favourites and they’ll alway show up on top of the restaurant list. Save multiple addresses. Very handy if you also order from work! You can use the Takeaway.com-app also abroad in: The Netherlands, Belgium, Poland, Luxembourg, Germany, Austria, Portugal, Vietnam, Romania and Bulgaria. Like our app? Let us know with a review in the App Store!